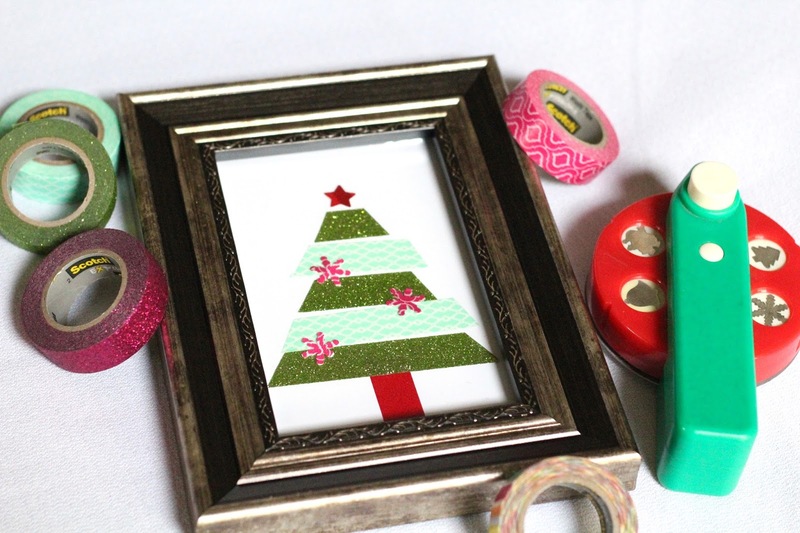 Making gifts for friends and family during the holidays can be affordable, and it's a fun way to give them something handmade with love. 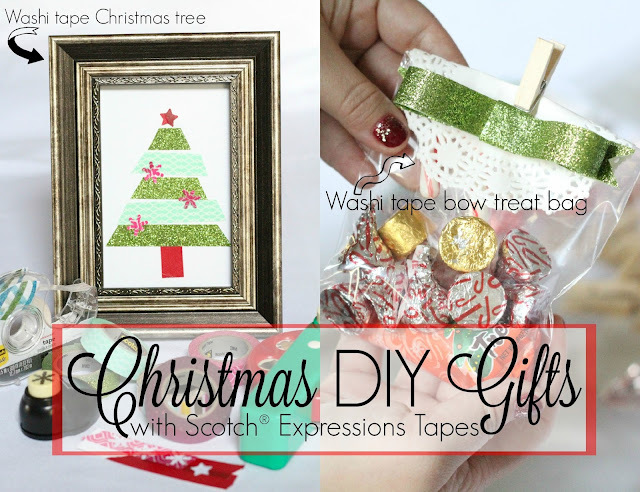 I crafted these 2 suuuuper easy DIY Christmas gift projects using the versatile Scotch® Expressions Tapes and Scotch® Create Double Sided Tape I found at Walmart in the 'Paper Crafting' aisle. 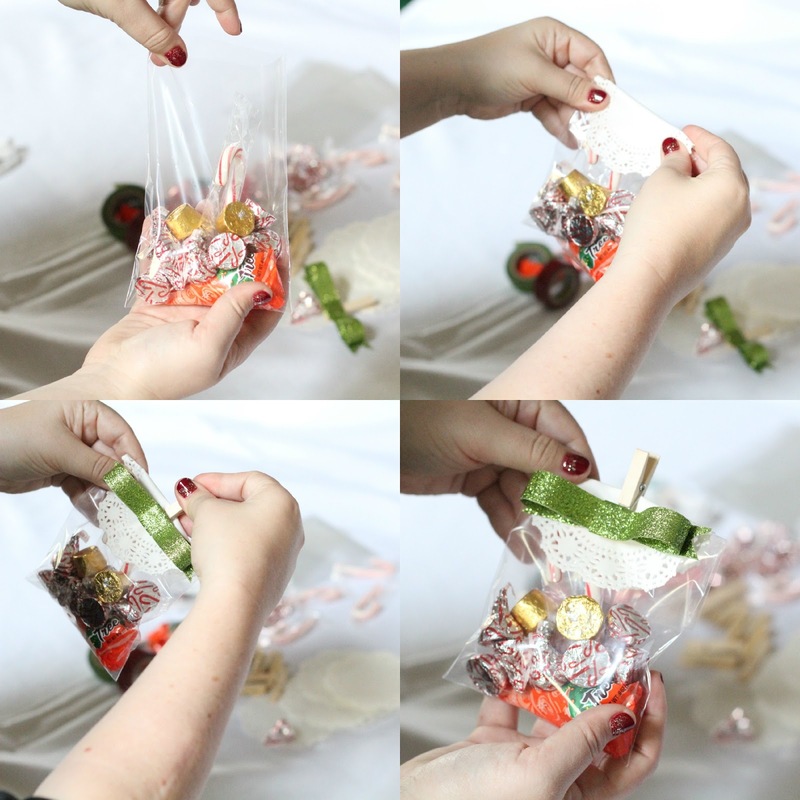 2// Fold the Large and Medium pieces in half, so no sticky is showing. 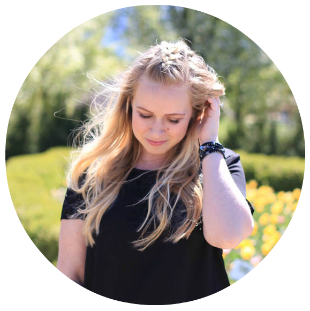 3// Fold again. 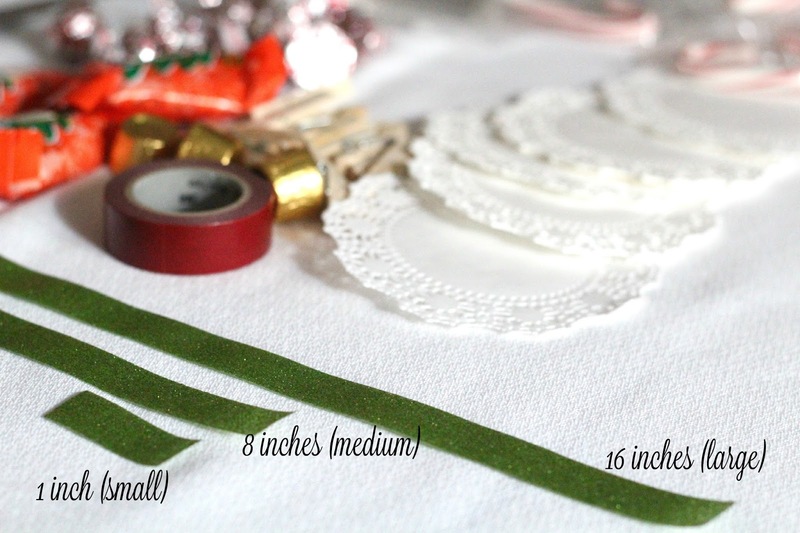 Cut a notch in the Large and Medium pieces to make the center (where the fold is), narrower than the ends of the pieces. 4// Cut a "V" shape at the end of the Medium piece. 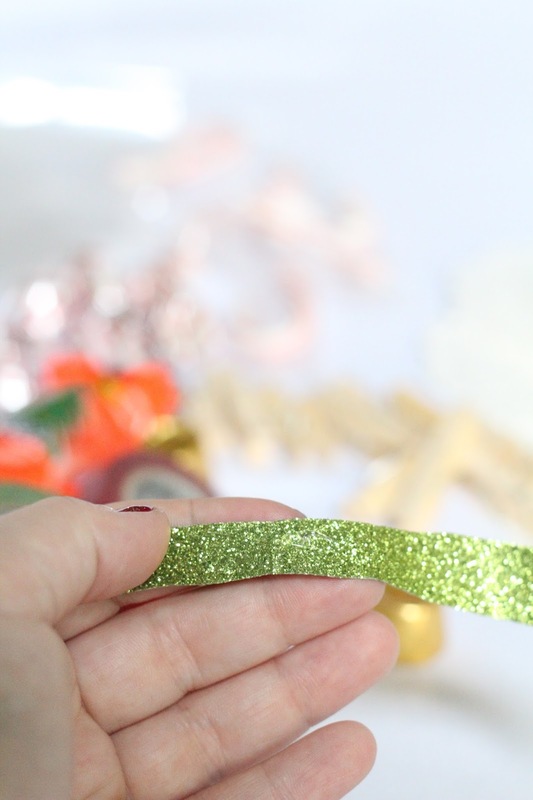 5// Open up the Large piece, and dab a hot glue gun dot in the middle. 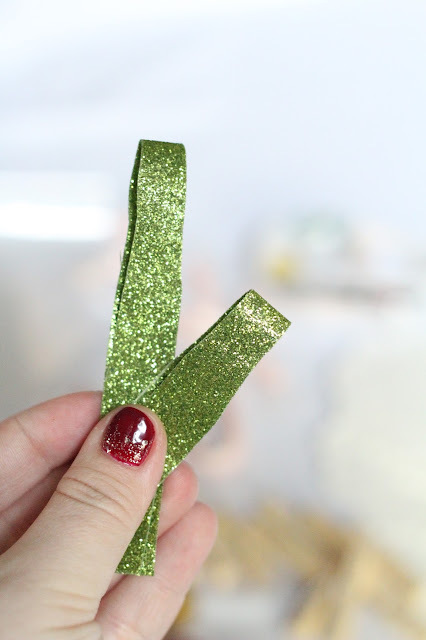 Create the "bow loop" portion by taking each end and attaching it to the adhesive. 6// Open up the Medium piece and hot glue it to the back of the Large piece. 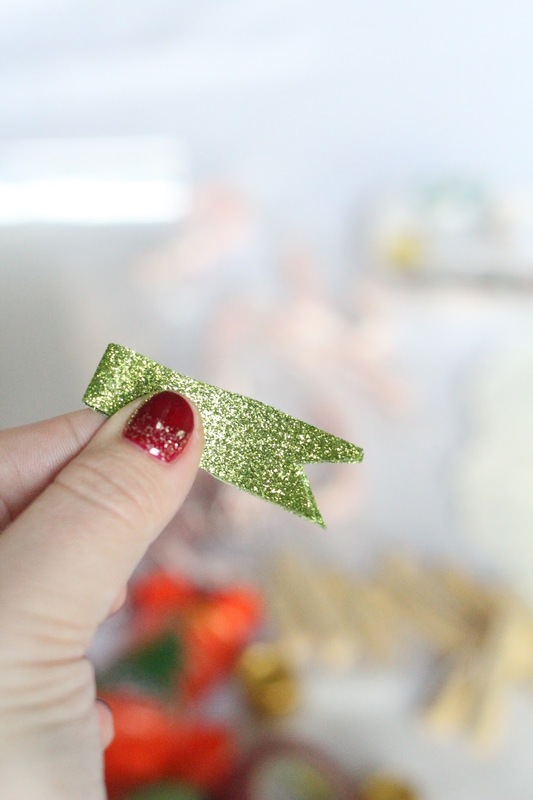 7// Then hot glue the Small piece around the center to secure the entire bow together. 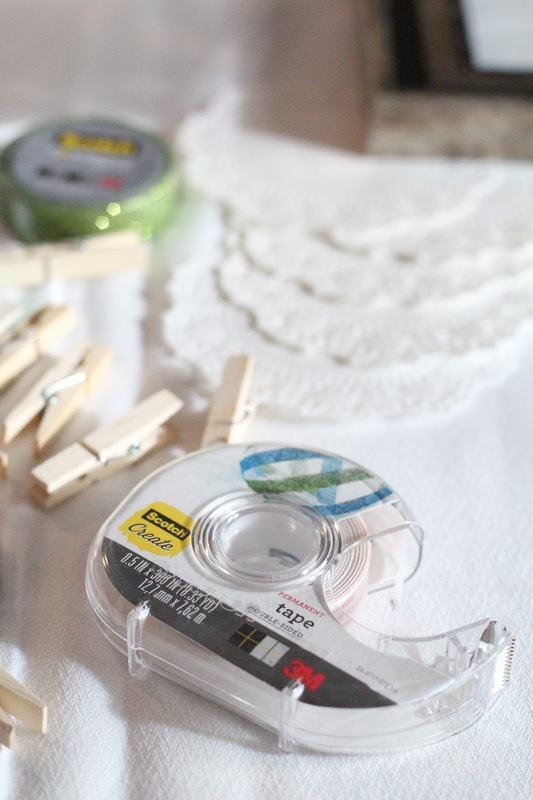 8// Glue bow to wooden clothespin. 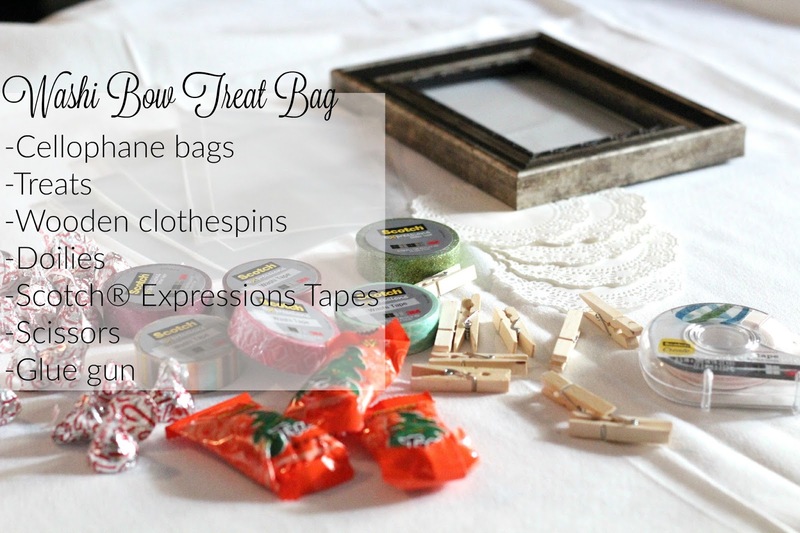 9// Fill bag with candy, fold doily over top and secure with clothespin. 10// Now gift to your neighbor or friend! 1// Cut plain white scrapbook paper to the size of your frame, this is what you'll use to create your Christmas tree. 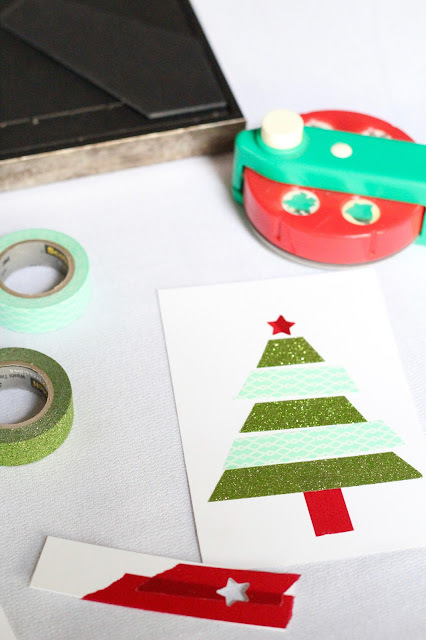 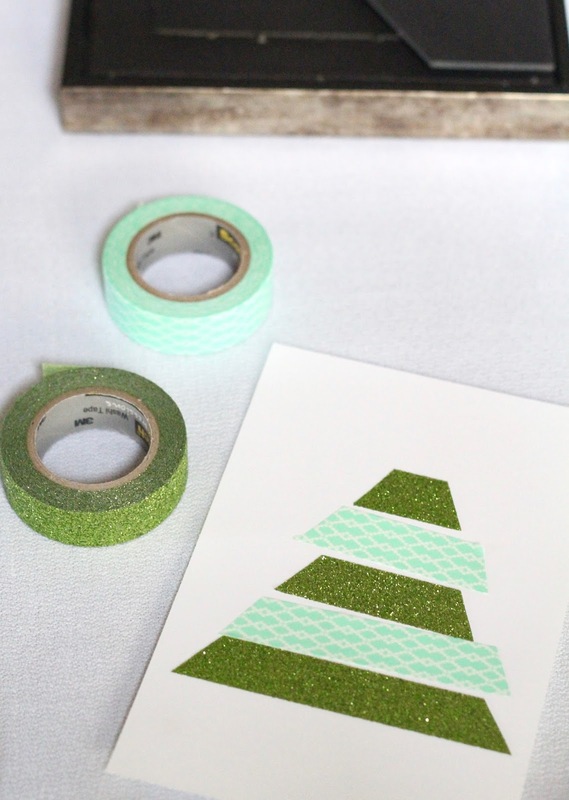 2// Select Scotch® Expressions Tapes for your washi tape Christmas tree. Cut at a diagonal angle and create the bones of your tree! 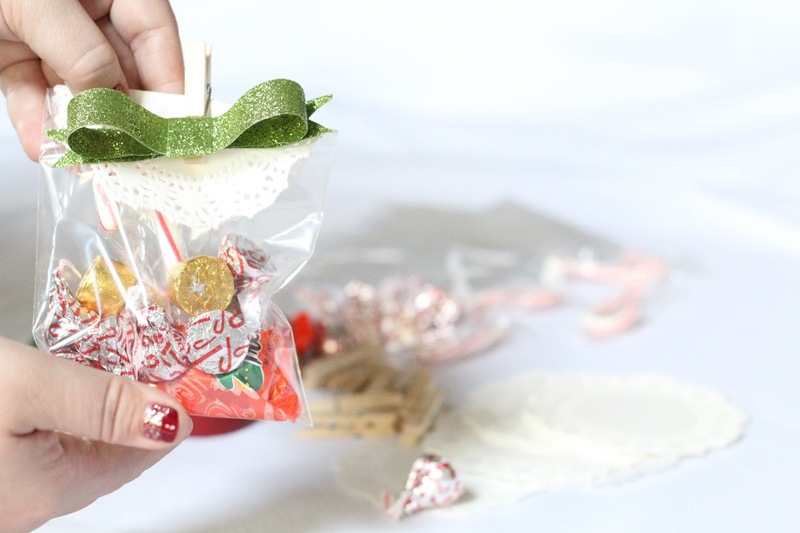 3// Pull up bottom piece and attach a tree trunk. 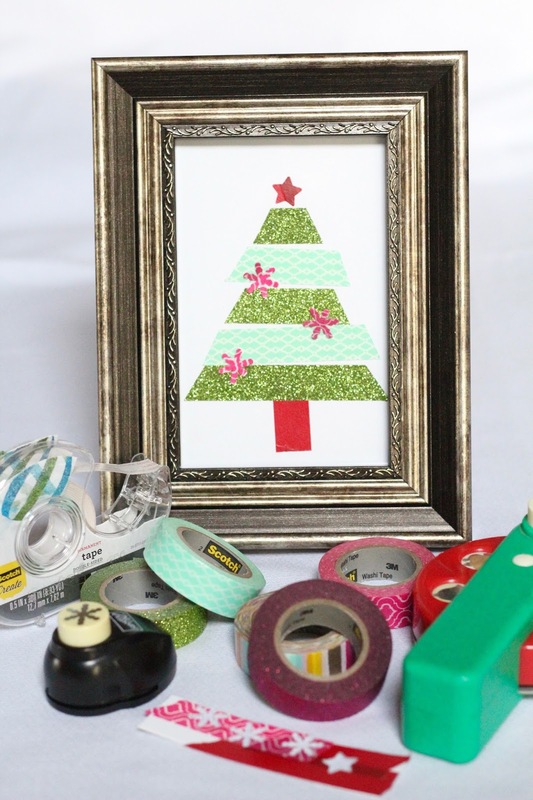 4// Place pieces of washi tape on scrap paper and use a star hole punch to punch out your tree topper. 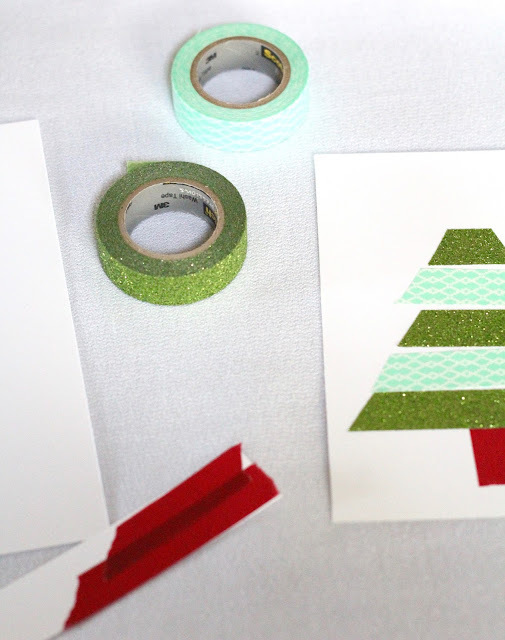 Repeat method for ornaments, holiday bells, snowflakes, etc. 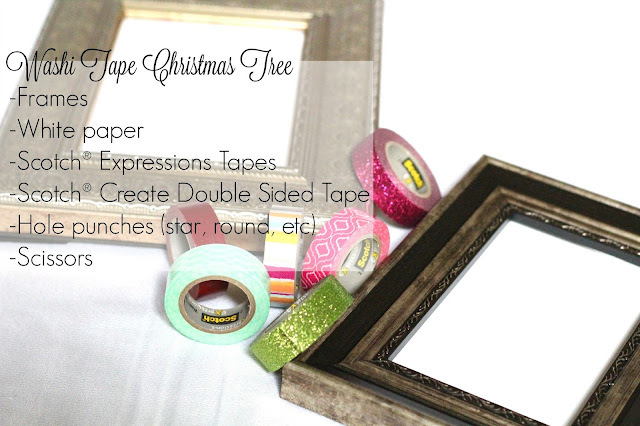 5// To attach the star tree-topper use Scotch® Create Double Sided Tape. 6// Put the tree into your frame, and gift to a friend or display it in your home! 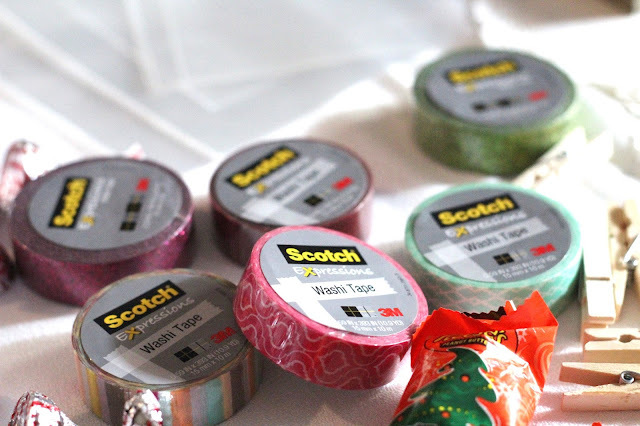 I picked up both of my Scotch® Brand goodies in the 'Paper Crafting' aisle at Walmart while I was grocery shopping, how easy! 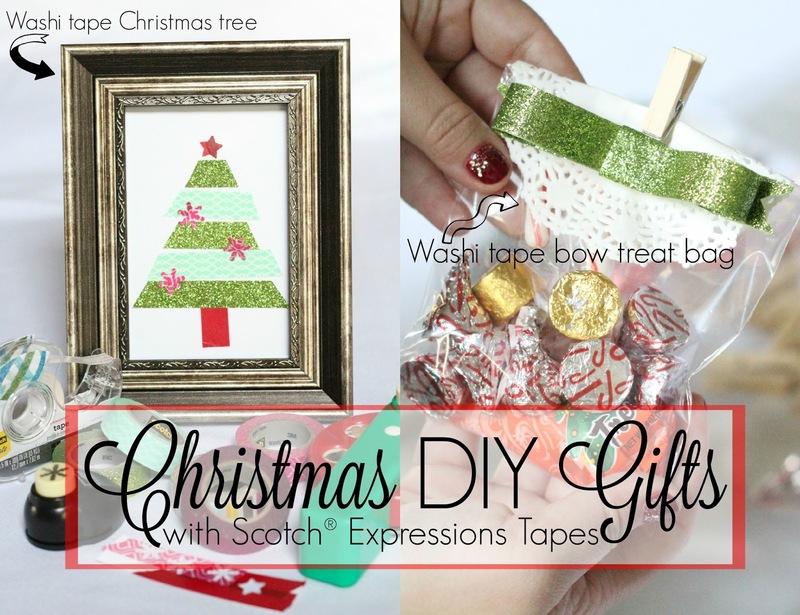 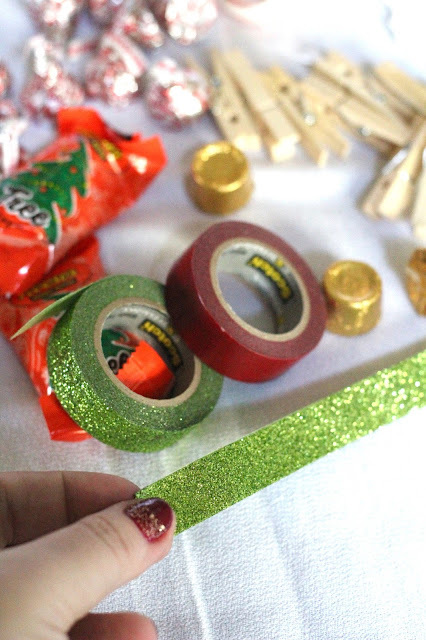 What holiday gifts will you make this season using Scotch® Expressions tape?